Subject: Should I Buy Pinterest Stock? Much like Lyft and Uber, Pinterest is one of the latest IPO "unicorns" garnering a lot of excitement. And while it shows promise, we recommend not buying Pinterest stock once the company goes public. There are simply too many red flags, and we've counted eight of them before the firm has even gone public. 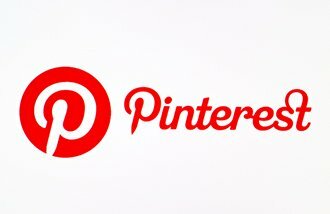 Back in February, Pinterest filed for an IPO with Goldman Sachs Group Inc. (NYSE: GS), JPMorgan Chase & Co. (NYSE: JPM), and Allen & Co. The Pinterest stock will be listed on the New York Stock Exchange under the ticker "PINS" with the expectation that it will go public in April. Pinterest is a social media platform in which images are recommended to users based on preferences. The users, known as "pinners," create their own image libraries related to their interests called "boards." It's often described as an online scrapbook with a little social media thrown in to spice things up. Instead of sharing your entire personal life in 280 characters or less, users share and save pictures that involve things like recipes, cooking, fashion, home improvement, and art. For its users, it's a way to express their identities online. While the concept is unique and slightly addictive, Pinterest directly competes with social media giants like Facebook Inc. (NASDAQ: FB), which has 2.3 billion users in comparison to Pinterest's 265 million. The company is also operating in a highly saturated market. Beyond just Facebook, there's Twitter, Instagram, Google, Houzz, Allrecipes, and Tastemade. Fortunately for Pinterest, it isn't plagued with privacy scandals like Facebook has been since 2018. But similarly to Snap Inc. (NYSE: SNAP), Pinterest is a target for Facebook. And Facebook will do just about anything to smother the competition. Just look at the addition of Instagram stories when Snap became popular. Beyond that, with Uber and Lyft operating on $800 million to $900 million in losses, analysts are turning a little bearish toward tech IPOs flooding the market in 2019. However, Pinterest has Wall Street buzzing with excitement. Last year, Pinterest made $756 million in revenue. That's 60% higher than 2017's $473 million. Between now and 2016, Pinterest's active user base grew 22%. Pinterest's current estimated value is $12 billion. Its filing highlighted some of its biggest shareholders, like Bessemer Venture Partners, FirstMark Capital, Andreessen Horowitz, Fidelity Investments, and Valiant Capital Management. No price range or goal for shares sold have been publicly announced by Pinterest yet. With Pinterest's revenue growth, user-friendly website, and overall popularity, there's a lot of hype surrounding the IPO. Should You Buy Pinterest Stock?